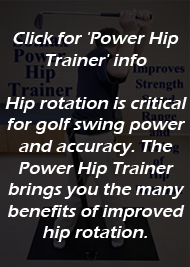 Even though we spent 20 years developing the methods for analyzing and improving the golf swing in our DVD The Somax Golf Swing and have sold more than 3,000 all over the US, Europe and Far East during the past 4 years, we realize that not every golfer in the world will find our system to their liking. 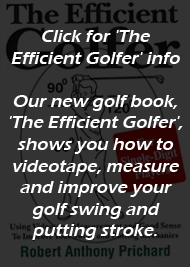 We also realize that it takes some time to evaluate any golf training aid--including our DVD The Somax Golf Swing. For these reasons, we offer a 100% 30-day money back guarantee on the purchase of your DVD. All we ask is that the DVD and its contents are in resalable condition, with no scratches or dirt on the DVD, and no markings on any of the contents. To return your DVD, just send us the email you received confirming your order and request a Return Merchandise Authorization number. We will send you directions for returning it, as well as the return address. You must place the RMA number on the shipping label, or our warehouse will not accept it. Be sure to insure it in case of any transit damage or loss.